Did you know that Roller Blinds are one of the most popular window treatments used in Australian households? So what makes them so popular? Roller blinds design is very compact, giving you maximum space in a room should you desire it. Because of their compact size, you can actually combine roller blinds with other window treatments to provide additional protection or privacy options. You can choose to operate roller blinds using either a chain system or a motorised system. Although having a motorised option doesn’t sound like much, but you won’t believe the convenience a little motor can provide to simplify your life. It’s easy to install and remove it. You can literally install or remove a set of roller blinds within 5 minutes. It takes very little time to maintain it. Some roller blinds fabric have important properties such as fire retardant/resistant which delays it from fueling the flames in a fire. The cost of most roller blinds is generally less expensive than other window treatments. Due to its popularity, many roller blinds manufacturers offer an extensive range of colour and fabric choices. This compact single roller blind is ideal if you have shallow reveals where you might have trouble finding window dressing products to fit it because it’s too tight. This design will allow maximum ventilation through the windows with minimal obstruction to the view. You can further enhance your experience by fitting this blind with a solar powered motor which is good for your budget & the environment. This is a step-up design from the Como, developed to include both a light filter and block-out blind on a single pair of brackets. If you would like having the extra privacy of a sunscreen/light filter during the day in addition to the block-out blind, then Como2 is for you. Most people install Como2 in their bedrooms because of the extra privacy. Both systems are used to link two or three Como/Como2 roller blinds together. The benefit of using these systems is that they reduce the amount of light coming through the gaps between the blinds which means you will less likely be disturbed by the light outside. If you want to control all the blinds that are joined together with the same chain or motor, choose the Link System (connects maximum 3 blinds). Alternatively, if you want to control each blind separately, then choose the Independent Link System (connects maximum 2 blinds). This blind is designed for larger openings from 2411mm up to 3010mm wide. It is a great solution if you need to cover large window areas where a Link System is not suitable. 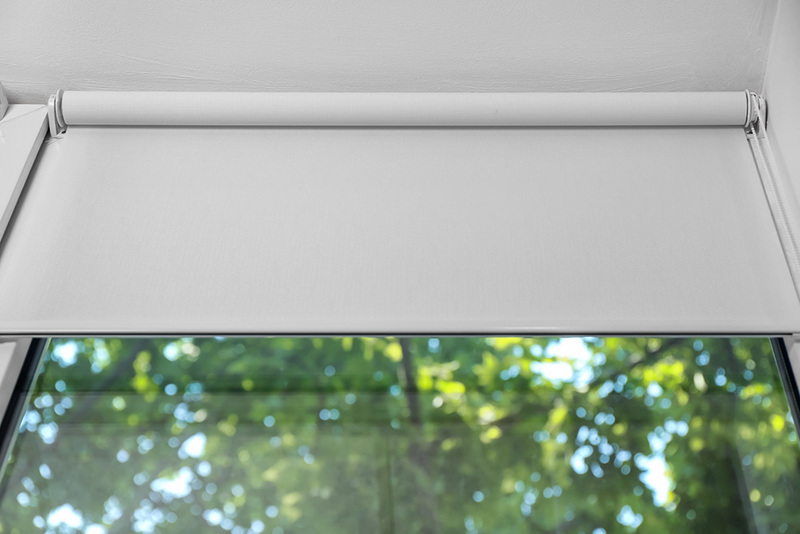 Similar to Como2, this roller blind is designed to include both a light filter and block-out blind on a single pair of brackets. As a standard, the light filter/screen blind is installed closest to the window, and the block-out blind is installed (closest to the room) to ensure maximum light blocking and privacy. This blind is designed specifically for you if your room is bigger than 7.5sqm. You can be sure that this roller blind can handle the stress of the weight as it uses a heavy-duty 63mm diameter aluminium tube and a 1:3 ratio geared lifting mechanism which makes it easier to lift it. Different to other roller blinds, Acmeda incorporates a spring assist system. This makes it effortless for you both to raise and lower the blind. There is also a motorised option for Acmeda if you want an even more convenient and quieter way to control your blinds. Similar to the Como, this blind is a great space saver especially if you have shallow reveals.